Found on the south-eastern coast of Barbados, Crane Beach is arguably the island’s most stunning stretch of sand. Frequently rated as ‘one of the 10 best beaches in the world’, this slice of seaside chic boasts miles of palm-fringed pale pink sand, crystalline waters and jagged limestone cliffs backed by coconut trees. 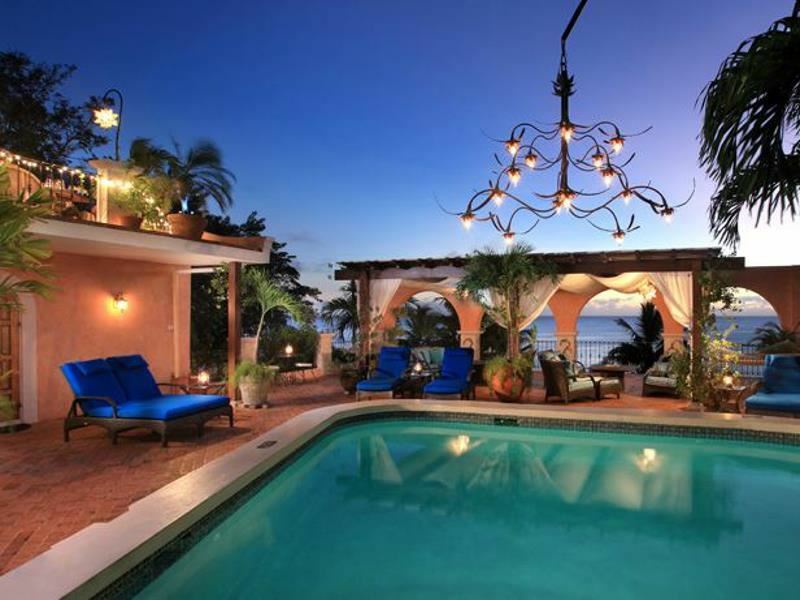 The setting is spectacular; right where the rugged Atlantic beaches of the north and east coast meet the powder-soft sands of the Caribbean west coast. Protected by a coral reef barrier, the waters provide excellent waves and breakers for boogie boarders while the coastal coves offer sheltered swimming close to shore. At times, swimmers may experience some unexpected undercurrents so it is advisable to exercise caution before taking a dip. Some Barbadians believe this beach was named in honour of the large crane situated at the top of the imposing cliff which was used for loading and unloading ships in the 18th century; others consider it to be named after the historical Crane Resort and Residences (formerly The Crane Hotel) which presides over coastline. This is the island’s first-ever hotel resort and also claims to be the oldest operating hotel in the Caribbean. Built around 1790, the property (originally called the Marine Villa Mansion) and its surrounding land was purchased by civil engineer Donald Simpson in 1886. Inspired by the development of the railway to the Sunbury Plantation from Bridgetown in the 1880’s, Simpson added four coral stone apartments to Marine Villa that still comprise the south wing of the hotel. This grandiose former colonial building opened as a hotel in the following year and has since been a hideaway for the rich and famous. One of its first illustrious guests was American cowboy William ‘Buffalo Bill’ Cody; after staying at The Crane in the 1890’s he left his fob watch and gold chain as payment for his room charges – both of which are still in the possession of the Simpson family. In 1998 this iconic 40-acre hotel was acquired by Canadian businessman Paul Doyle and transformed into the uber-luxurious five-star retreat now known as The Crane Resort and Residences. There is plenty here to appeal; from 202 beautifully-appointed suites and residences (all of which are adorned with four-poster king beds, elegant décor and elaborate marble bathrooms) to a staggering 1.5-acre pool complex featuring lagoons, whirlpools and waterfalls. Other highlights include a serene spa, floodlit tennis courts, a fully-equipped gym, four restaurants and The Crane Village, a 55,000 square-foot replica of a traditional Barbados town with cobbled streets, boutiques, an art gallery and landscaped tropical gardens. For those who don’t fancy walking 98 steps down the cliff to access the beach, take the glass-walled elevator ride down from The Crane Resort and Residences – the access fee is redeemable at the bar or restaurant. Whilst sun loungers and umbrellas on these pristine pink sands are free for resort guests, there is a small hire charge for non-residents. There is no restaurant directly on the beachfront, so it’s best to either pack a picnic or head to one of the resort’s signature restaurants: L’Azure serves up tempting fresh seafood and Caribbean classics, Zen offers authentic Japanese and Thai delicacies and D’Onofrio’s Trattoria showcases southern Italian fare. For beachgoers seeking less fancy dining, Cutter is a fabulous Bajan deli and general store located across the road from the resort. Here you can either dine al fresco on the verandah or pre-order breakfast, lunch and drinks to be delivered straight to your sunlounger. Barbados is a small island; just 21 miles long and 14 miles wide. Whilst The Crane Resort and Residences is the closest to Crane Beach, there are plenty of other luxurious resort hotels within driving distance. 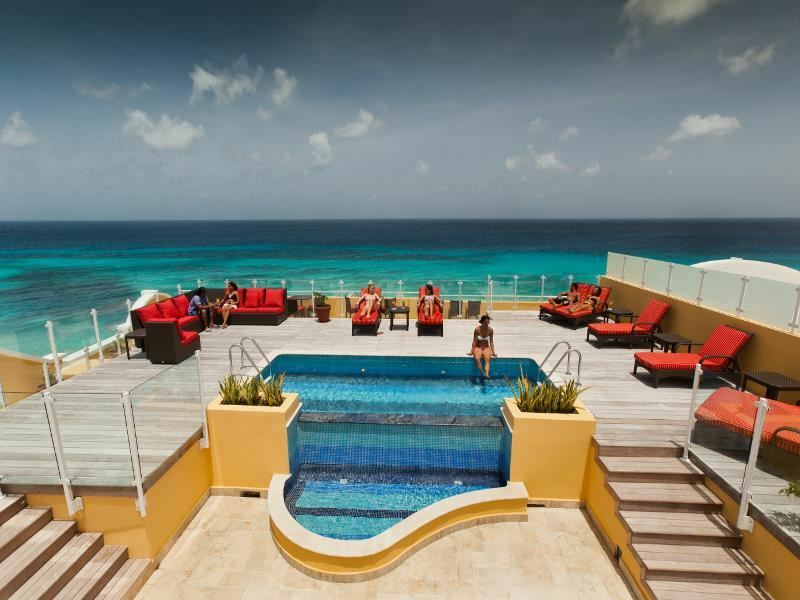 Perfectly positioned on the island’s south coast, Ocean Two Resort and Residences is an upscale seven-storey resort backing onto Dover Beach. Opened in 2011, this is one of the island’s newest retreats and features 88 super-swanky designer-led guestrooms and suites decked out with marble and dark wood furnishings. All suites have fully-equipped contemporary kitchens and there are also dining areas, sitting rooms and terraces. Laze on plush oversized sun loungers by the 150-foot pool, take a yoga class or book a beauty therapist for in-room pampering. This luxurious resort also offers a dedicated children’s program during peak family vacation periods. More information and to book: Ocean Two Resort & Residences. Nestled on a secluded bay, adults-only boutique hotel Little Arches overlooks the sparkling white-sand Enterprise Beach on Barbados’ south coast. Appealing to design-conscious guests, it charms with 10 ocean-facing guestrooms and suites fashioned with tropical décor, artist-commissioned watercolor paintings, four-poster beds and Jacuzzi sundecks. For ultimate opulence, the two Luxury Ocean Suites have their own private pools. Relax by the roof-deck freshwater swimming pool, book a holistic massage at the mini-spa tucked away in the tropical gardens and dine at Café Luna – the hotel’s award-winning rooftop eatery serves an exciting fusion of Caribbean, Asian and Mediterranean fare in a sublime outdoor setting. More information and to book: Little Arches Boutique Hotel. Set on the island’s south-east coast above the white sands of Silver Rock Beach, Silverpoint Hotel is an intimate boutique hotel that exudes Caribbean chic. There are 58 stylish and spacious guestrooms spread across three floors in three buildings; each is lavished with marble, granite and dark mahogany décor. The large swimming pool fronting the sea has a fabulous private deck furnished with day beds and cabanas whilst the adjacent beach is Barbados’ top windsurfing spot and perfect for boogie-boarding, kite-surfing, kayaking and windsurfing. Enjoy a drink in the bar before feasting on delicious Caribbean-inspired cuisine and international dishes at the superb open-concept restaurant. More information and to book: Silverpoint Hotel. 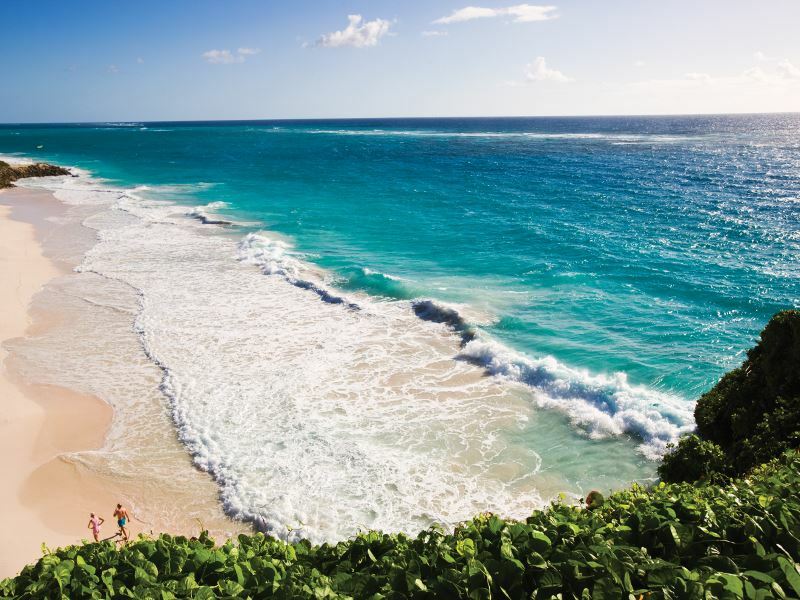 Boasting more attractions per square mile than any other Caribbean island, Barbados has no shortage of cultural attractions when you’ve had enough of seaside lounging on Crane Beach. Built in 1660 by Irish-English planter Matthew Chapman, one of the island’s first land-owning settlers, Sunbury Plantation House serves as a reminder of Barbados’ colonial history. Meticulously restored to its former grandeur following a disastrous fire in 1995, all the rooms in this gracious heritage home are open to the public. Expect plenty of authentic mahogany antiques, original prints, rocking chairs and four-poster beds – all of which offer a glimpse of everyday life on a Barbadian sugar plantation. Highlights include the original furniture in the planter’s office and the unique display of antique horse-drawn carriages in the cellar. After touring the house, stroll the landscaped grounds and stop for a Bajan-style lunch in the Courtyard Restaurant. Info: www.barbadosgreathouse.com; located in St Philip, north of Six Cross Roads; open daily 9am to 5pm. Another beautifully-restored colonial building is George Washington House, an 18th-century plantation house in Bush Hill within Barbados’ historic Garrison area. The teenage Washington spent two months here in 1751 with his older half-brother Lawrence who was ill with tuberculosis – Barbados was the only country that the first president of the United States visited outside America. The two-storey house, now under the control of the Barbados National Trust, opened to the public in 2007. The lower floor of the building recreates 18th-century Barbadian life with age-appropriate period furnishings (none of which are original); the upper floor is a thought-provoking museum with permanent and temporary exhibits that commemorate George Washington and his views on slavery. Info: www.georgewashingtonbarbados.org; located at Bush Hill, The Garrison, St Michael; open Monday to Friday, 9am to 4.30pm. For more modern-day fun, Barbados Concorde Experience is a state-of-the-art aviation museum located at Grantley Adams International Airport. Opened to the public in 2007, the main attraction is an actual British Airways Concorde G-BOAE (also known as Alpha Echo) that flew between London and Barbados for many years. Visitors can walk the red carpet to step inside this legendary supersonic aircraft to marvel at the luxury of the golden age of intercontinental flight, learn about the behind-the-scenes engineering process and experience the flight simulator which replicates the feeling of taking off and landing. Info: www.barbadosconcorde.com; open Tuesday to Saturday, 9am to 5pm. One of Barbados’ best natural attractions is Harrison’s Cave, a sprawling limestone cavern filled with flowing subterranean streams, deep pools, towering columns, stalactites, stalagmites and a 40-foot waterfall. Take the glass-fronted elevator to descend from the cliff top to the valley floor and embark on a 40-minute adventure through this underground wonderland aboard a tram. To learn more about this unique cave complex, watch a short film about how the cave was formed and enjoy the exhibits in the Cave Interpretative center. Info: www.harrisonscave.com; located in the central uplands of Barbados; open daily from 8:30am to 4:30pm. To explore the rich heritage and culture of Barbados, the Barbados Museum & Historical Society is a small but impressive museum set inside a 19th-century British Military Prison. Engaging collections are exhibited in seven galleries; highlights include rare antique maps of the island, furnishings from an 18th-century plantation house, artifacts of the Amerindians (the early inhabitants of the Caribbean islands) and a well-preserved prison cell. There is also an interactive gallery for children and a superb gift shop where you can stock up West Indian books, paintings, jewellery and Barbadian crafts. Info: Located in St. Ann’s Garrison. Open 9am to 5pm, Monday to Saturday; 2pm to 6pm on Sundays.